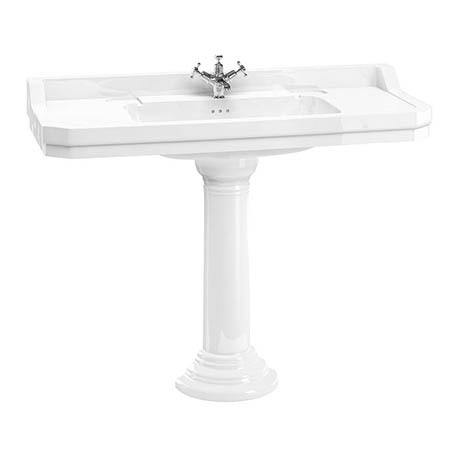 With structured corners and an angled design, the Burlington Edwardian 120cm basin with Regal Round Pedestal is the perfect centre piece for any bathroom. Burlington Regal pedestals are 6cm higher than the standard pedestal to ensure a more ergonomic use for taller individuals. This basin is available in a choice of 1, 2 or 3 tap holes, this option opens you up to be able to choose from the entire range of Burlington's stunning and elegant taps.